Asbestos in Talc – What Is Talc, Where Is It Used and Why Is Asbestos a Concern? 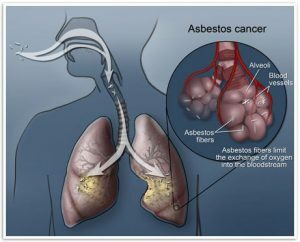 Recently, the New York Times posted an article about asbestos in talc. The carcinogen has been a concern inside the company for decades. In hundreds of pages of memos were recently reviewed by the New York Times executives became worried about a potential government ban of talc, the safety of the product and a public backlash over Johnson’s Baby Powder, a brand built on a reputation for trustworthiness and health. Talc is used in many cosmetics: lipstick, mascara, face powder, blush, eye shadow, foundation and even children’s makeup. In the list of ingredients, it can be listed as talc, talcum or talcum powder, cosmetic talc or magnesium silicate. Talc is added to cosmetics to create a silky feel and absorb moisture. Some brands make talc-free cosmetics. Should I keep talc away from my baby? Yes. Paediatricians have been warning parents for decades not to use powder on babies because of the risk a child will inhale or aspirate talc, which can cause choking and coughing and lead to respiratory illness or chronic disease and lung damage. 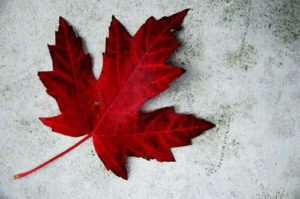 This has nothing to do with asbestos. Cases of babies dying from choking on powder were reported as early as the 1960’s, and since 1981, the American Academy of Paediatrics has taken a strong position against the use of talc on babies and children, saying it is hazardous and has no medicinal value. Paediatricians suggest changing infants’ diapers frequently to prevent rashes, and recommend using an oil-based ointment when necessary, rather than using talc. If it’s a product for babies, why are women suing? Broadly speaking, the women claim that the powder caused their ovarian cancer because they used it for feminine hygiene for decades, and may have also inhaled airborne powder. What does Johnson & Johnson say about the claims? 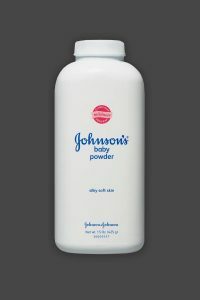 Johnson & Johnson has the largest share of the talcum powder market, and has been selling Baby Powder and other similar products for more than 100 years. The company says that its talc does not contain asbestos, that claims that talc causes cancer are based on bad science and that it is appealing any jury verdicts against it. Has the F.D.A. tested talc products for asbestos recently? The F.D.A. last tested talc products in 2010 and found no asbestos, but it was provided raw talc from only four suppliers and tested only 24 commercial products. Experts who have analysed talc on behalf of plaintiffs suing Johnson & Johnson say they have detected asbestos in talc products. The F.D.A. does not test cosmetics for safety. With the exception of colour additives, neither makeup nor any of its ingredients require the agency’s approval. The agency says it takes the possible presence of asbestos in cosmetics very seriously, but that manufacturers and marketers are responsible for their safety.